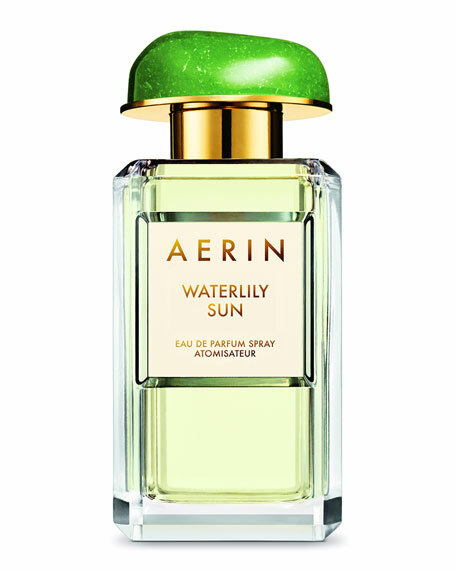 AERINWaterlily Sun Eau de Parfum, 1.7 oz. 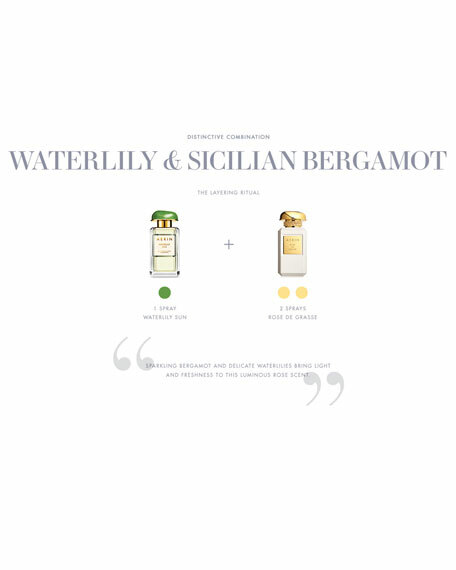 Like sunlight reflecting on water, bright Sicilian Bergamot and Lush Dewy Greens entice the senses for an invigorating, luminous first impression. Delicate, yet alluring Waterlily and softly exotic Jasmine Sambac add layers of depth and intensity, warmed by sweetly inviting Musk. The effect is bright, dewy and fresh.